I'm Amanda Hernandez, a registered dietitian that is an experienced brand partner and recipe developer. 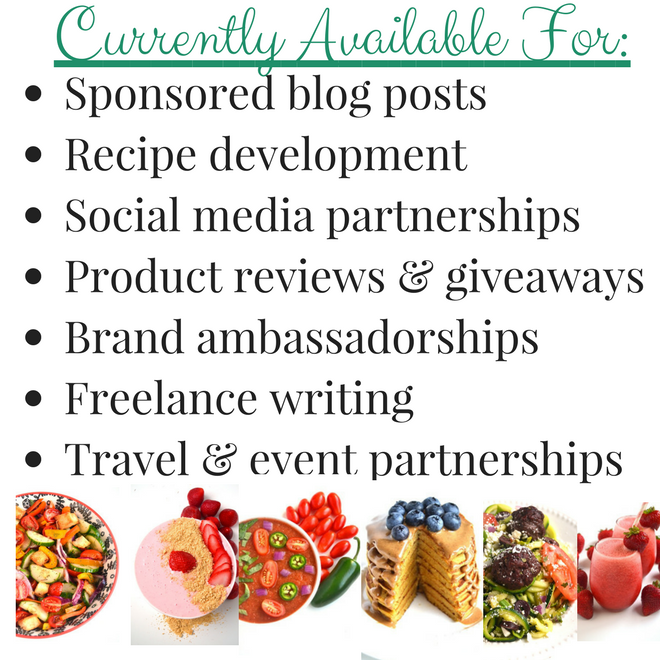 I enjoy creating tasty recipes, sharing nutrition information, health, parenting and reviewing products that align with The Nutritionist Reviews established in 2010. If you would like to work with me, please send me an email achernandez711@yahoo.com. My work has been featured on WomensDay.com, Women’s World Magazine, Activewear USA, Balance Bar, MARS healthy living, SFGate, The Nest Woman Nutrition and more. Recipe development is my passion- specifically slightly healthier recipes. A post would include the product in an original homemade recipe including: research + development of the recipe, preparation + photographing the recipe, editing photos, writing the content including links to the brand website and my review of the product and promotion on social media. My reviews are always honest and informative. All review products are mine to keep. I do not accept sample sizes and only review full sized products. For a review, I will write about your company and products offered, my opinion of the product + include my own images. Contact me for specific pricing which depends on what you are looking for. Please check with me for current blog statistics.